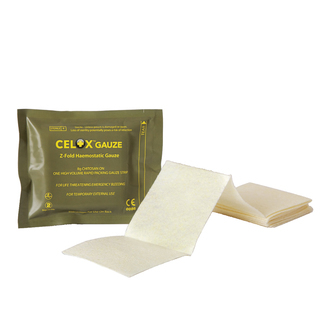 Free Celox Z-Fold Gauze for all First Response Emergency Care Level 3 (FREC 3) qualifications booked before Christmas 2017. Life threatening bleeds are part of the syllabus so it makes sense to have your own kit. High Peak First Aid stocks the complete range of Celox products and a comprehensive selection of tourniquets. We also have a variety of first aid supplies and bags at discounted prices for course participants. High Peak First Aid is an approved Qualsafe Centre to provide First Response Emergency Care qualifications. The FREC series of qualifications are modular, appealing to first responders, security staff (SIA approved), outdoor instructors, expedition leaders and those on the pathway to become an Emergency Care Assistant, Emergency Medical Technician or Paramedic. As the FREC 3 is a Prehospital care qualification we place an emphasis on embedding the theory into as much practical work as we can manage in a variety of settings ranging from domestic to wilderness. We have two classrooms available at a permanent base, wide screen audio visual facilities and an extensive selection of equipment plus a handpicked library including Nancy Caroline’s Emergency Care in the Street and Wilderness Medicine by Dr. Paul S. Auerbach. We also have an extensive selection of journals and PDFs you would otherwise have to pay to obtain access. You will be supported pre and post course to ensure you benefit from this qualification after investing in yourself. Once you have chosen your FREC 3 date, we have your recommended pre-course reading of the “Generic Core Material of the Prehospital Emergency Care Course, Royal College of Surgepns Edinburgh” sent out by courier along with your free Celox Z-Fold gauze. It’s not all about reading as we supplement your learning with select links to online bite-size videos. This entry was posted in Announcement, First Aid Supplies, News, Prehospital Care. Bookmark the permalink.